Some Roma fans felt their Champions League season was over, and the team should simply lay down during their second leg match against Barcelona. The players felt otherwise. 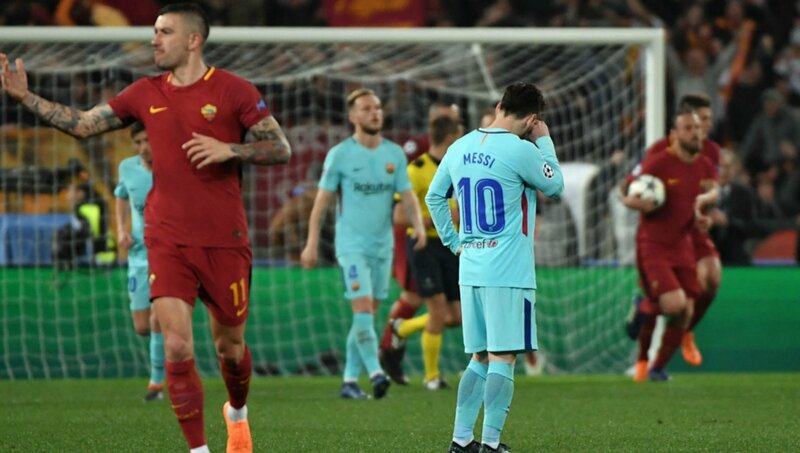 The 32-team Champions League is into the quarterfinals, but after a 4-1 loss to La Liga leader Barca in the first leg, the chances of Roma advancing to the semis seemed slim. Despite the second leg being played in Rome, oddsmakers had Barcelona the favorite at 4/6, or implied chances of winning at 60 percent. Sportsbooks also had Barcelona tied for the favorites to win the Champions League title at 9/4, a line shared with Real Madrid. But Tuesday at Stadio Olimpico, Roma did what few predicted. Not only did they win their second leg, but their 3-0 shutout was enough to oust Barca from the tournament and prevail to the semis. The aggregate 4-4 tie of the two legs is broken by total away goals. Roma’s lone score in late minutes during the first leg by Edin Dzeko in Barcelona’s Camp Nou stadium gave the Italians the series victory. And a miracle it was. Soccer, or fútbol as it’s known everywhere not in the US, garners little attention at Las Vegas sportsbooks. NFL, MLB, NBA, and boxing reign supreme stateside, but overseas and around the world, no sport is more bet than soccer. Liverpool also advanced on Tuesday by easily defeating Manchester City by an aggregate 5-1 score. On Wednesday, the two other semifinalists will be decided when Real Madrid plays at Juventus, and Bayern Munich plays at Sevilla. 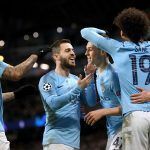 Real Madrid, the defending Champions League titleholders, and Bayern are favored to move on after respectively winning their first leg matches 3-0 and 2-1. As for which team will win the 2017-18 title, the Westgate SuperBook in Las Vegas has Real Madrid the favorite at 7/5. The champs are followed by Bayern Munich (2/1), Liverpool (3/1), Roma (10/1), and Sevilla and Jeventus long at 100/1 and 200/1. While Barcelona fans are expectedly upset, the defeat certainly isn’t the most shocking soccer story in recent years. That honor of course goes to Leicester City. May 2 will mark two years since Leicester City won the Premiere League title. UK sportsbooks had the team at 5000/1 odds before the season began of winning the title. To put that into perspective, at the same time those 5000/1 odds were floating, Irish bookmaker Paddy Power had another line asking if the Loch Ness Monster would be discovered in 2016 at odds of only 1000/1.